In 18th and 19th century Eastern Europe, liquor was the region’s boom industry, and Jews were believed to be the only group sober enough to be entrusted with its production and sale. Jewish tavern keepers became integral to both local economies and local social life, presiding over Christian celebrations and dispensing advice, medical remedies and loans. When reformers and government officials, blaming Jewish tavern keepers for epidemic peasant drunkenness, sought to drive them out of the liquor trade, a vast underground of Jewish liquor trade developed thanks to an accommodating and enterprising Polish nobility. The lucrative trade reflects an impressive level of level of Jewish-Christian coexistence that contrasts with the more familiar story of anti-Semitism and violence. 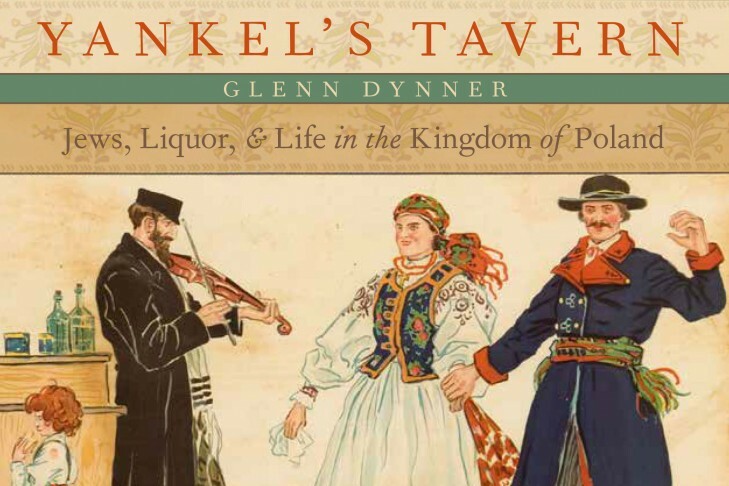 Professor Glenn Dynner author of Yankel’s Tavern: Jews, Liquor & Life in the Kingdom of Poland (Oxford University Press, 2014) will be the featured speaker at the 10th Annual Lecture on Jewish Genealogy, co-sponsored by Hebrew College and the Jewish Genealogical Society of Greater Boston. Dynner is Professor of Religion at Sarah Lawrence College and Associate Editor of the journal Jewish History. Professor Dynner is a Member of the Institute for Advanced Studies at Princeton University and has been a Fulbright Scholar and the Senior National Endowment for the Humanities Scholar at the Center for Jewish History in New York. Refreshments and a book signing will follow the lecture. Admission is free and advance registration is recommended. This is an annual lecture sponsored by the Jewish Genealogical Society of Greater Boston.